No cutting or splicing required - simply plug the new extensions in and you're done! Q: What if after I install the DTP adapters, my LED light bar or LED pod light does not light up? 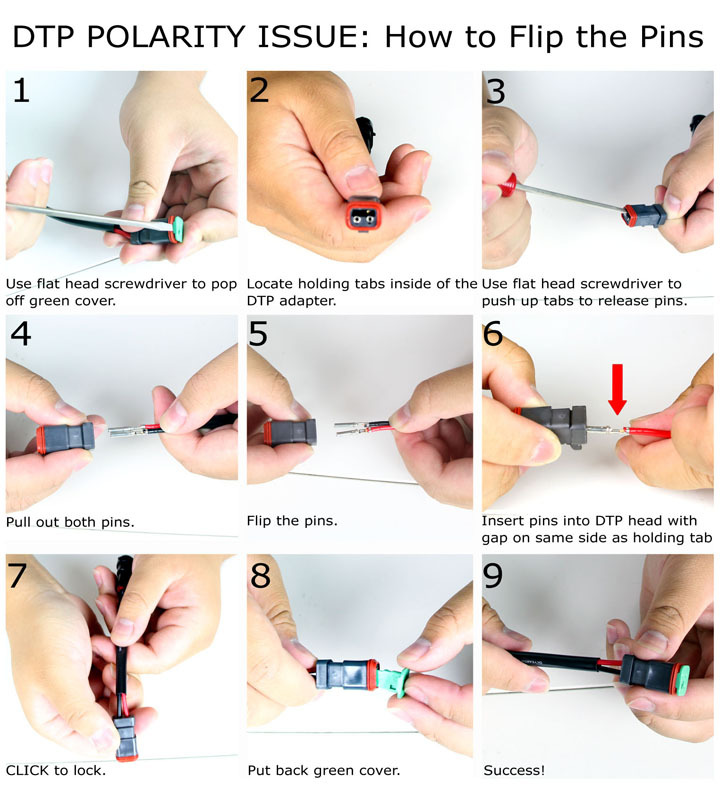 A: If your LED light bar or LED pod lights don't light up, this doesn't mean you have a faulty DTP adapter! Actually it's your basic polarity issue. The polarity issue happens to some cars. 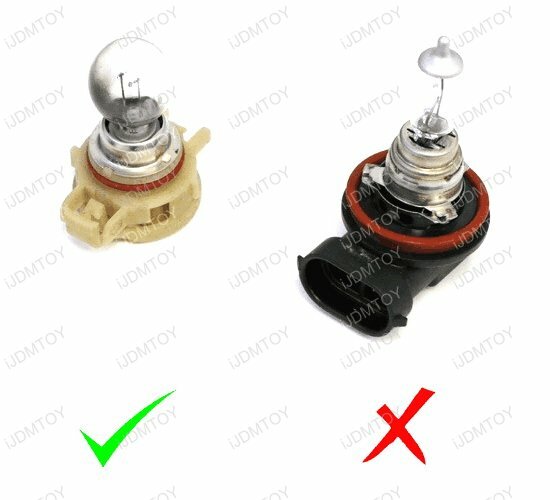 For factory halogen, there isn't a positive or negative so during assembly, there isn't a definitive left or right side. Meaning that that assembly might be assembled in reverse. If this happens to you, you can easily reverse the polarities by flipping the pins. Step 1: Use a flat head screwdriver to pop off the green cover. Step 2: Locate the holding tags inside of the DTP adapter head. Step 3: Use flat head screwdriver to push up tabs to release pins. Step 4: Pull out both pins. Step 5: Flip the pins. Step 6: Insert pins into DTP adapter head with the open gap on the same side as the holding tabs. Step 7: Push in firmly, you will hear a CLICK to lock. Step 8: Put back the green cover. 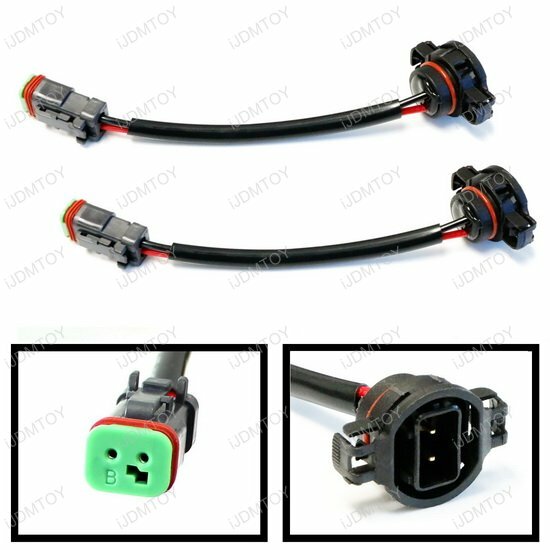 This page features a pair of 7" heavy duty wiring adapters to convert H8/11, H10/9145/9006 or 5202/2504/PSX24W to Deutsch DT DTP Connectors. 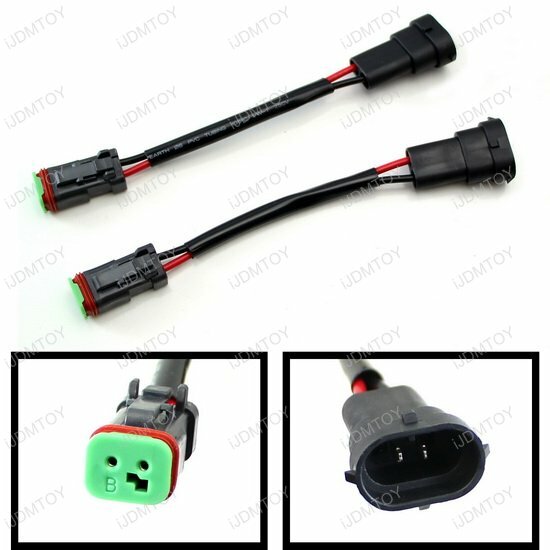 These adapters are good for installers who want to install cubic LED pod lights, LED lights bars, LED work lamps from Rigid Industries, Putco, RC, Vision X etc and want extension wiring that can accommodate the LED assembly and the stock socket. The side with the Deutsch adapters are IP68 waterproof to withstand inclement weather. There's no cutting or modification required, just plug in the new extension wiring into the LED assembly and your stock socket. Shipped fast. Great fog light adapter to install my Rigid Industries fog lights. Was a little confused at first, why they didn't work. Then I realized that the hot wire and ground wire were backwards on the H11 connector side. Easy fix, just switched them around. 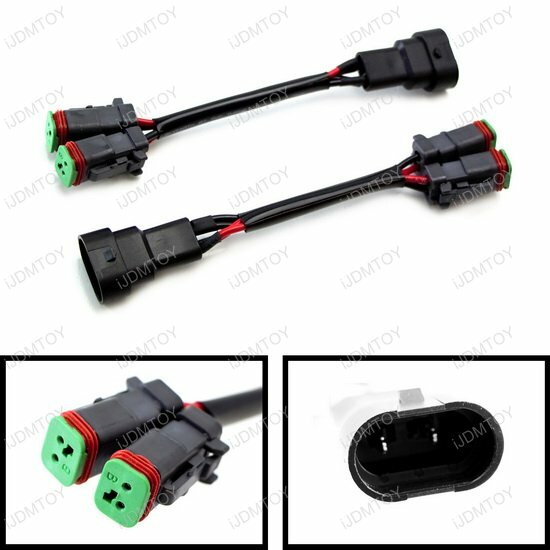 To clarify these do have H11 connectors, but they do work with H16 connectors on more recent 4Runners. These heavy duty fog light converter wires made installation 10 times easier! The H11/880 adapter wires worked perfect on my 4Runner with the Rigid Industries DOT/SAE fog lights. 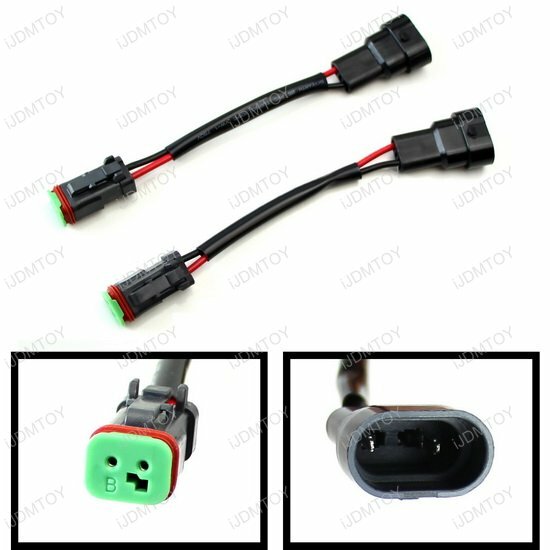 All you have to do is plug these in to the existing fog light cable, then plug the other end in to the rigid for light plug. These make it so you can use your factory fog light switch to turn the rigid fog lights on/off. Product worked like its supposed to. Replaced my stock fog lights on my 05 Ford F-250 Super Duty Diesel with Rigid Industries SAE Legal Fog Lights.. problem solved. Note.. you might have to flip the plugs around at the H10 end to have lights work (i.e. reversing the polarity). Worked perfectly for my 2016 Toyota 4runner. Easy plug and play application to run aftermarket lamps with OEM wires.